The article argues that the sheer volume and ubiquity of Internet of Things (IoT) devices will lead to an explosion of mobile app development. There’s no doubt that IoT devices will soon be everywhere. A Gartner report says that by the end of this year, some 8.4 billion IoT devices will be in use, up 31% over 2016. Consumers will use most of them, according to the firm. The consumer segment, Gartner says, will account for 63% of all devices. But businesses will spend more money on them, $964 billion in 2017, versus $725 billion by consumers. As for the future: hardware spending by consumers and businesses on IoT devices in 2020 will total nearly $3 trillion. All of this investment in IoT will drive mobile app development. For example, the Internet of Things will drive mobile app development in the construction industry. Eastwood expects that many other businesses will spring up to exploit IoT devices. We agree. 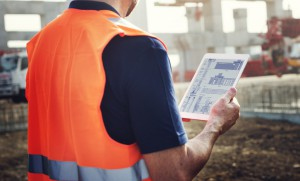 IoT combined with artificial intelligence can revolutionize construction, as I’ve written about in my blog, “Artificial Intelligence, IoT and Mobile Apps for Construction.” Sensors will capture every aspect of the construction process, from design to delivery, and mobile apps will be written to take advantage of all that data to cut costs, design better buildings and improve the way buildings are constructed. The benefits of connected things are fairly obvious and plentiful. By connecting devices to a smartphone, one can have complete control of the features provided by the different gadgets and machines. Running devices through the internet means that applications can push notifications straight to the phone and allow update parameters as well, thus making it possible to switch the systems on and off remotely. Mobile apps boost the involvement of customers as they can easily use applications and can provide valuable opinions to help a business grow. Creating mobile applications is very affordable; they reduce the costs of sending newsletters and SMSes. Applications can integrate communication directly to customers via messages. It’s a faster option than web browsing; it won’t take even a minute to access applications as customers do not have to wait for the site to load. Mobile app development companies try their best to create mobile apps that are IoT-friendly and reform the mobile app development and mobile app development services world.